Cuscuta coryli belongs to Cuscuta sect. Indecorae (Yunck.) Costea & Stefanović (2015), which was revised by Costea et al. in 2006. In North America this complex includes a few species, two of which, C. indecora Choisy and C. coryli Engelm., have been reported from Massachusetts, though T. Beliz (on herbarium labels 1986-1987) considered C. coryli synonymous of C. indecora, while M. Costea et al. (2006) did not mention any C. indecora from Massachusetts. C. coryli and C. indecora are sympatric across significant part of their ranges; morpholgically, they also overlap in several characters. However, according to Costea et al. (2006), the two taxa can be distinguished using a combination of characters, and their recognition as separate species is appropriate. I am following M. Costea's treatment. C. indecora has been reported from Rhode Island, but its existence in Massachusetts remains doubtful. 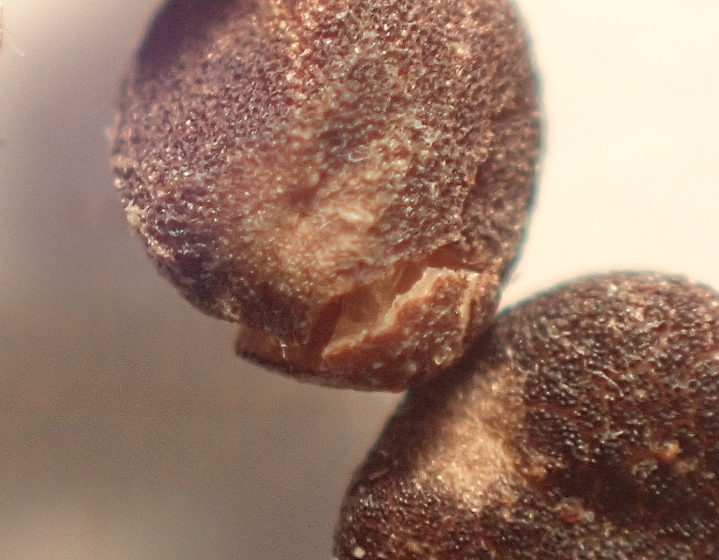 Acute inflexed corolla tips and characteristically papillose texture of corolla and calyx are characteristic of all species of this group, but C. indecora differs from C. coryli by its conspicuous infrastaminal scales and fimbria. 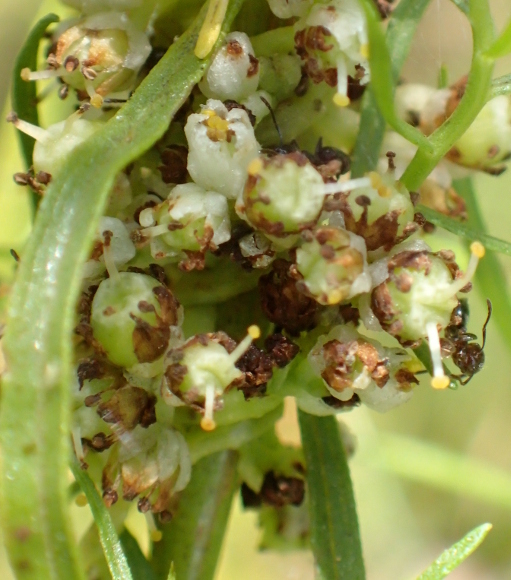 Both C. coryli and C. indecora could be as well confused with C. campestris, which also has acute and frequently inflexed tips of corolla, although differs in its corolla texture and the presence of numerous long fimbria well visible in intact flowers. C. campestris is presumed non-native in Massachusetts. It frequently occurs in disturbed habitats, sometimes in large quantities. The population in question was discovered in Plymouth by Bruce Sorrie back in 1986 (identified by him as C. coryli). 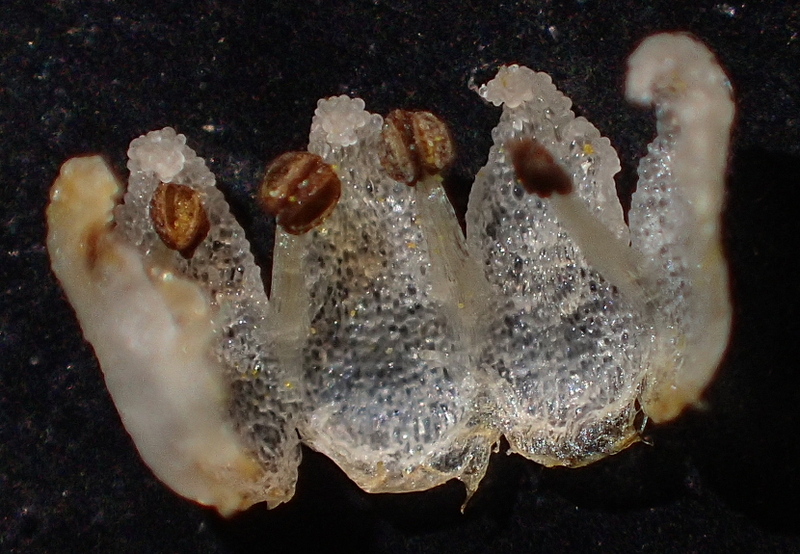 In 2018 it was found at the same pond by Doug McGrady and Elizabeth Dickson (then identified as C. indecora). The plants were growing on flat-top goldenrod (Euthamia caroliniana) as well as on marsh St. John's-wort (Triadenum virginicum), water horehound (Lycopus amplectens), and false foxglove (Agalinis sp.). 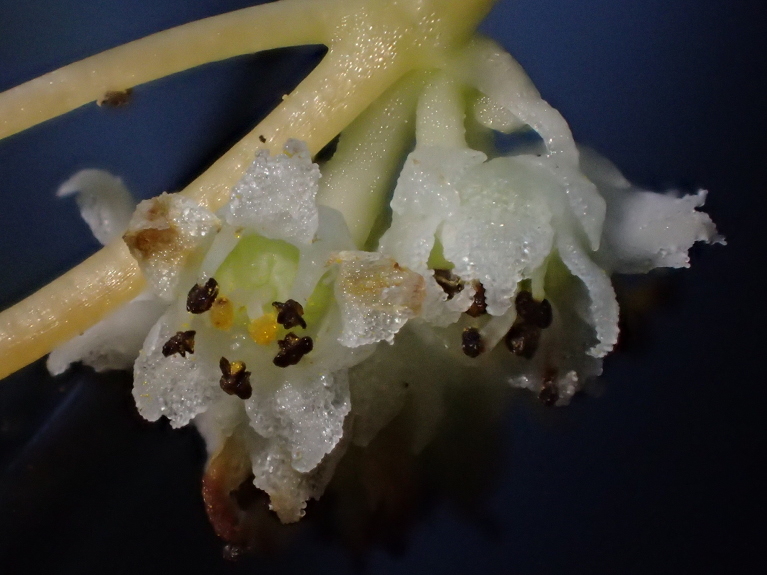 While examining this and another subpopulation discovered by Doug McGrady, I noticed that the flowers looked characteristically "black and white," as fleshy white petals (and anthers) soon become dark brown, nearly black. 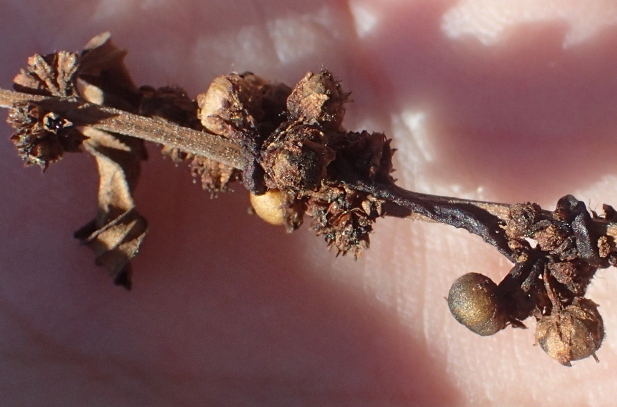 This is typical of C. coryli, as noted in the description of this species (Costea et al. 2006). 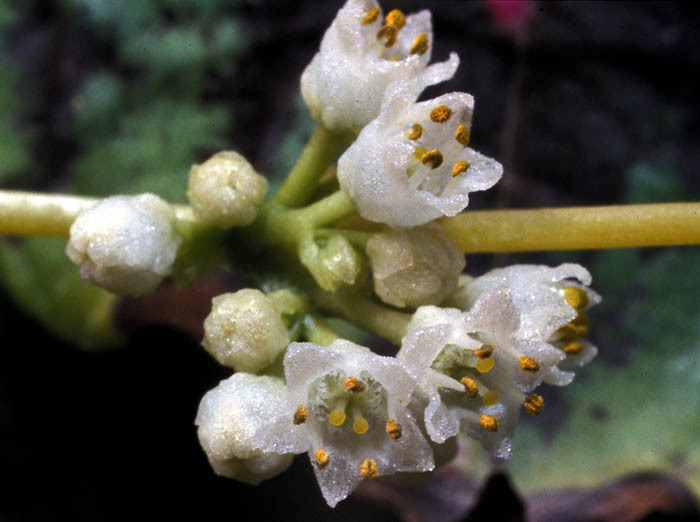 According to most authors, C. coryli may be distinguished from C. indecora by its predominantly 4-merous corolla; however, in this population the flowers are mostly 5-merous. Yet this does not contradict the treatments of this species by Yuncker (1932, 1965) and Costea et al. (2006), where corolla is described as 3- to 5-merous. In C. coryli, infrastaminal scales are united with corolla nearly along their entire length, bearing a few (1-3) fimbria at each side. 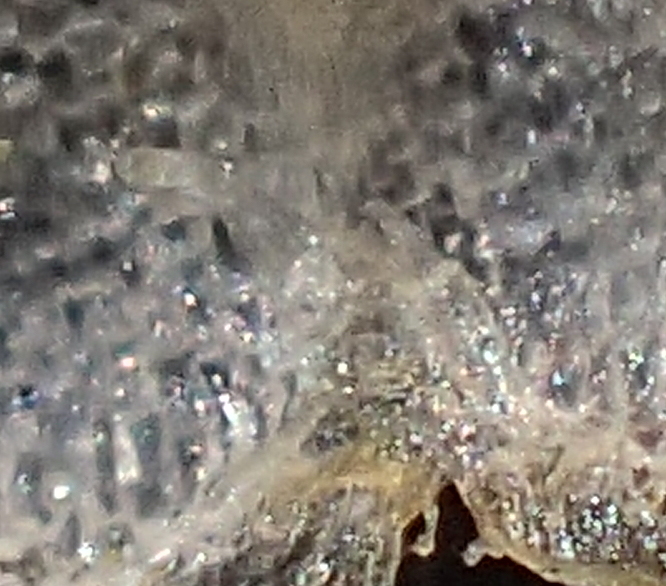 These scales with their scarce fimbria may be difficult to see, while in typical C. indecora, even in dry pressed specimens, numerous fimbria can be readily seen. In plants collected from the Plymouth population, fimbria are hardly discernible, if at all visible: just 1 or 2 on the filament side. 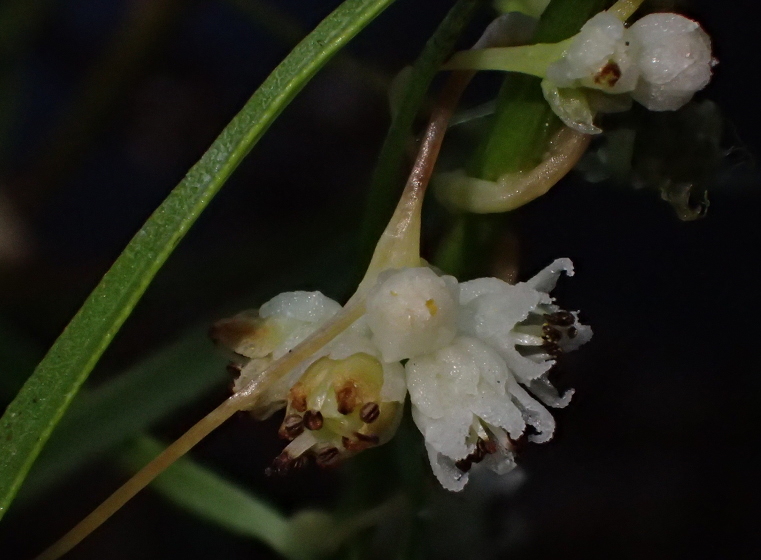 Photos of C. indecora flowers outside New England:   — intact flowers. 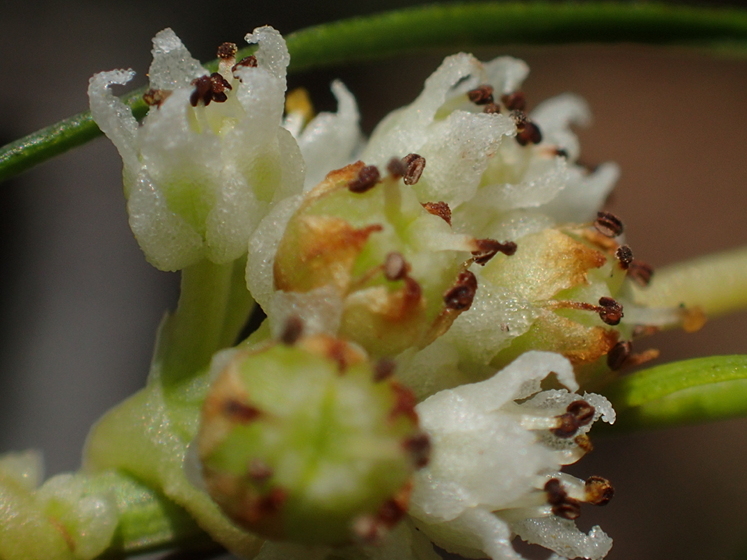 C. coryli can also be distinguished from C. indecora by its smaller flowers, capsules not translucent, and distinctly depressed when ripe. 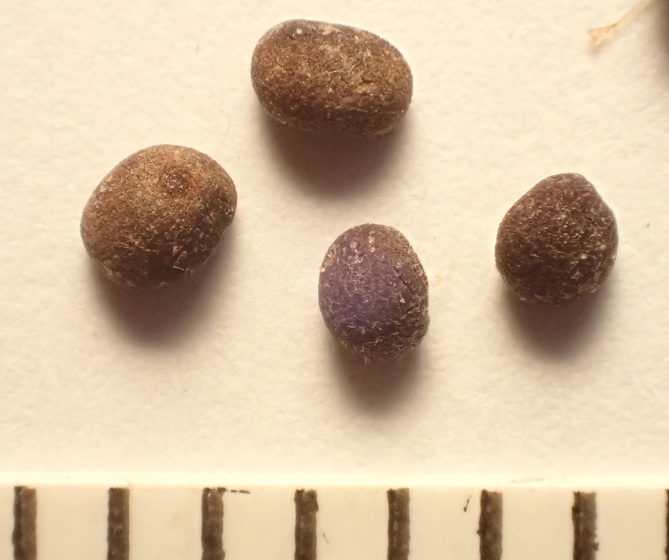 The sample in question matches C. coryli description in this respect; however, distinct longitudinal grooves on opposite sides of the capsule also characteristic of C. coryli (and seen on the specimens from the Arnold Arboretum) have not been observed. 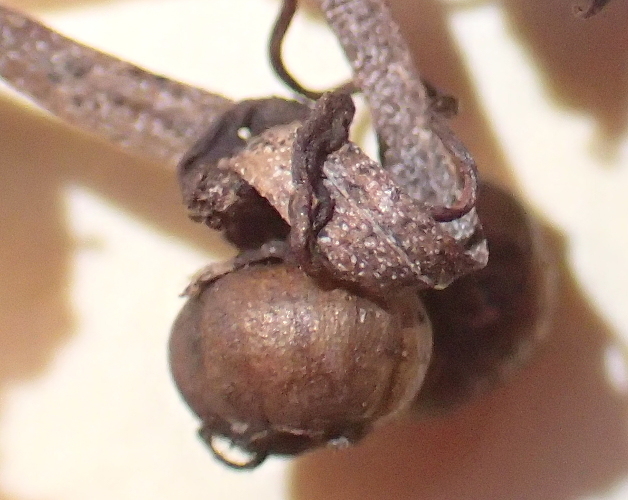 In the two studied subpopulations, most fruits appeared very dark, many underdeveloped and presumably not capable of producing viable seeds. 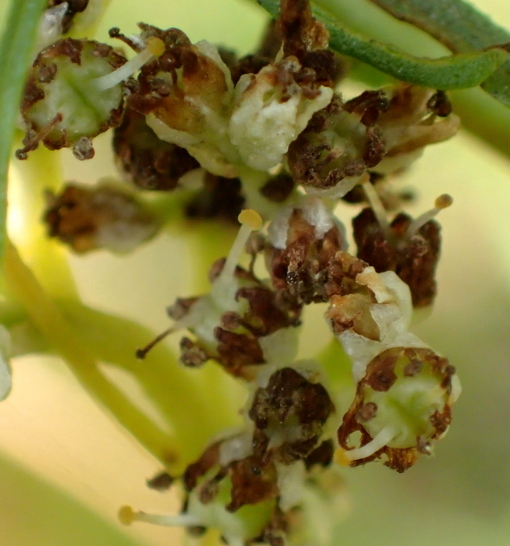 This could be explained if one assumes the species is susceptible to some fungal disease that manifests itself at the early stage through fast-darkening flower parts. 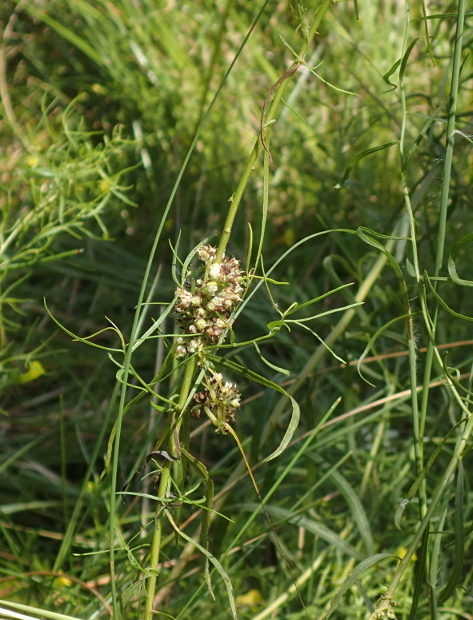 Besides, some of pondshore plants hosting dodder may not live long enough to support it (many flat-top goldenrods were observed dead before dodder could produce ripe capsules). C. coryli is currently considered Watch-Listed in Massachusetts, while C. indecora is designated Historic. (In Rhode Island C. coryli is treated as Historic, in Connecticut as Special Concern, in Ohio as Endangered, in Maryland as Endangered/Extirpated.) According to Costea et al. 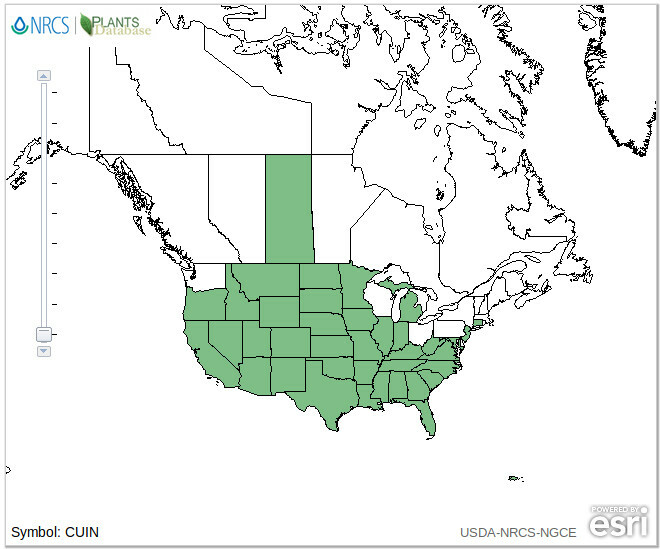 (2006), its conservation status in the US is S2S3 (Imperiled to Vulnerable), not yet assessed by NatureServe; in Canada it is Critically Imperiled. In Massachusetts C. coryli appears to be confined to coastal plain pondshore communities. Apart from historic records at the Arnold Arboretum (1928-1934), which may refer to an introduced population, it has been recorded from 8-10 ponds in three towns—Barnstable, Plymouth, and Kingston in southeastern Massachusetts (1907-2018). 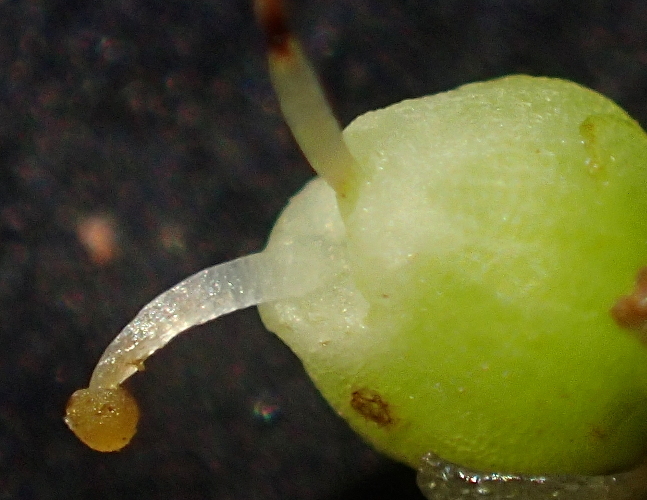 Neither C. coryli nor C. indecora have been known to be specific to the coastal pondshore habitat. Both are wide-ranging across North America, C. coryli east of Rocky Mts. (Yuncker 1965). This raises doubts about Massachusetts populations being truly conspecific with C. coryli, which was described from barrens west of St. Louis, Missouri. 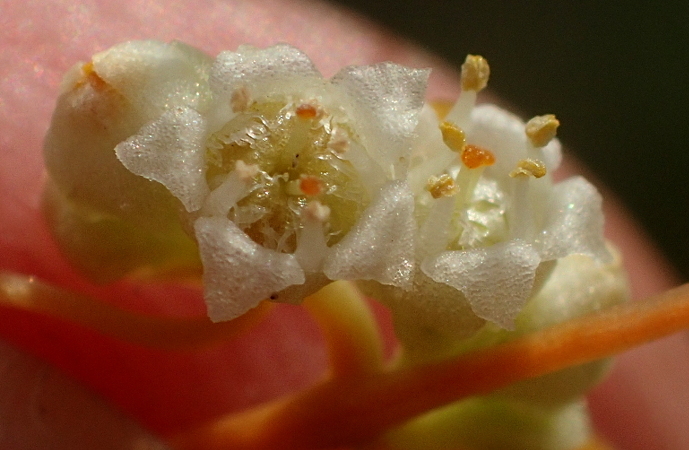 It is known that the seed coat is impermeable in most dodder species. The seeds thus must be well adapted for survival in coastal ponds during unfavorable years. 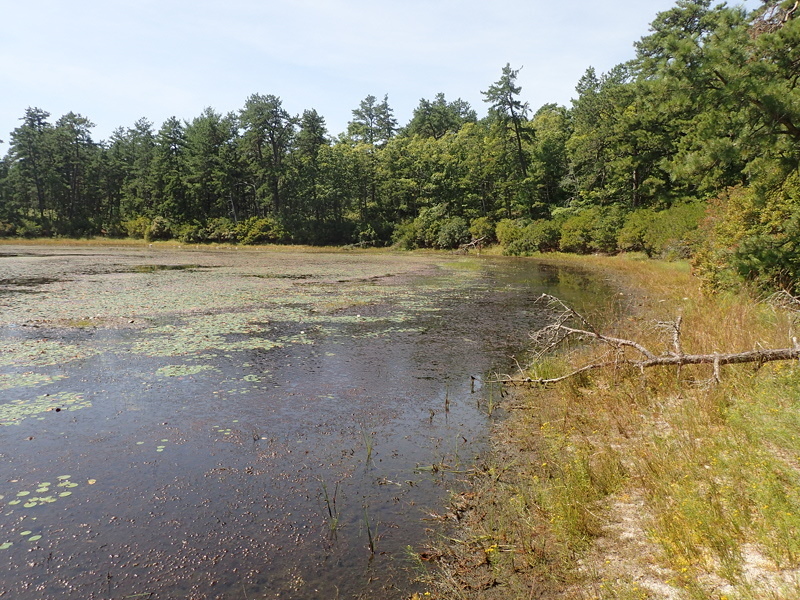 However, if the Massachusetts populations are truly specific for coastal ponds, they, like other rare kettle-pond plants, may have special adaptations to drastically fluctuating water levels. Costea, M., Nesom, G.L., Stefanović, S. 2006. 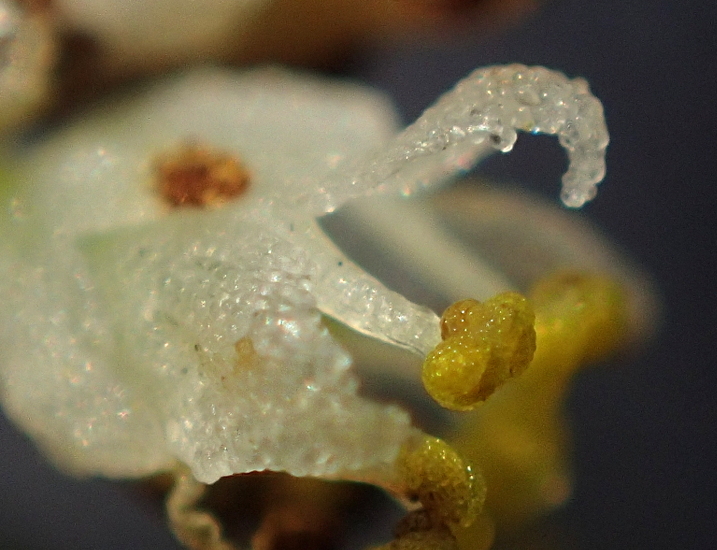 Taxonomy of the Cuscuta indecora (Convolvulaceae) complex in North America. SIDA, Contributions to Botany 22 (1): 209-225.